How beautiful is this little outfit. White tutu skirt with red and black roses at the band, with hanging ribbons. On the skirt in the front is a little black skulls. 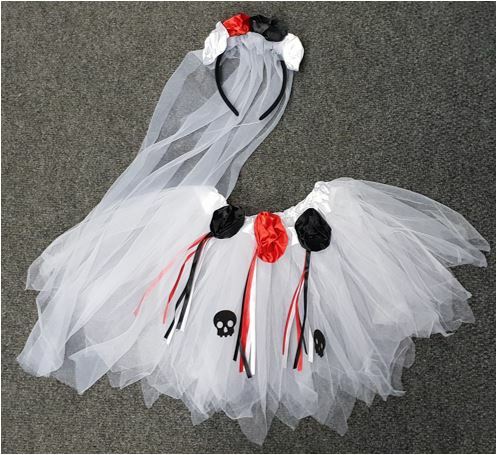 Included with the tutu is a headband with white veil, that has the same red and black rose detail. Skirt is approx. : 31cm in length and the waist will fit up to a size 54cm.